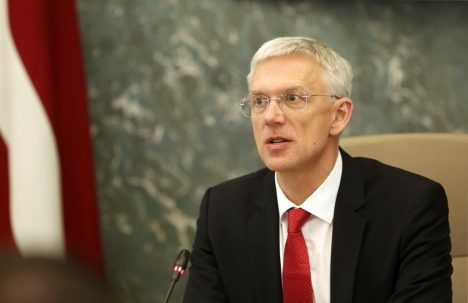 A number of sectors require reforms to avoid raising taxes to increase revenue, said Latvian Prime Minister Krišjānis Kariņš during a meeting of Saeima’s Budget and Finance Committee on Monday, 18 March. Saeima committee started working on the 2019 budget this Monday. In the opening speech the Prime minister said this will be a technical budget – the one left from the previous government. «We have a tradition – the closer the elections, the more politicians increase expenditures to show voters their many good deeds. With that, our heritage for 2019 and 2020 contains many ‘expensive promises’. It is easy to criticize predecessors, but I won’t,» said Kariņš. At the same time, the prime minister added increase of expenditures will not resolve existing problems, because a number of sectors remain disorganized. The prime minister mentioned healthcare as an example. More than EUR 80 million has been allocated to sort this sector. «Hopefully the money will reach doctors, not end up lost in the hospital system,» added the head of the government. Additionally, Kariņš mentioned the importance of implementing the school network reform. «We will allocate EUR 799 million or 9% of the state budget for education. This is slightly more than the amount Estonia has allocated to education. However, our neighbours also pay almost twice as larger minimal wages to their teachers. This means Latvia has systemic problems in Latvia,» he said. The prime minister also pointed towards the problems that might appear when working on the 2020 state budget, because it includes the previous government’s decisions worth EUR 87 million. Kariņš stressed the importance of implementing reforms. «If we don’t change anything, we will have to consider raising taxes. This is not my government’s objective,» he concluded.